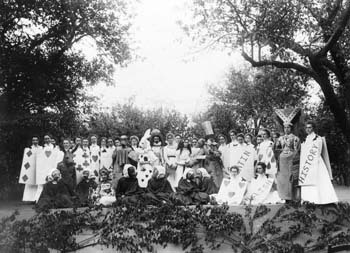 Tree Day was an annual event held at the College for Women for many years. It was special for the sophomores, who presented a play, after which they planted their tree and sang their class song. The freshmen attended the play in fancy costume. 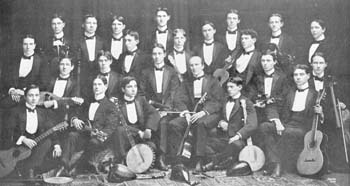 The Case School of Applied Science musical clubs (including the Mandolin Club, Glee Club, and Banjo Club) played 7 concert dates at various locations around northeast Ohio for the benefit of the Athletic Association. Dedication ceremonies were held for Harkness Chapel, Western Reserve University's first chapel building. 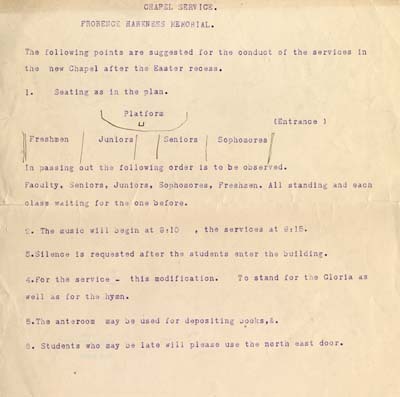 Daily services began at 9:15 a.m. and all College for Women students were expected to attend. First classes were held by Western Reserve University's School of Library Science. 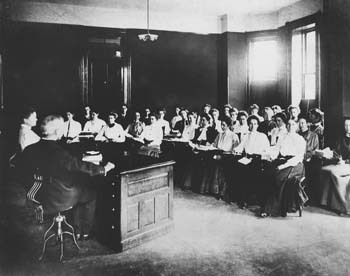 Pictured here is William H. Brett, first dean of the School, conducting one of the first classes. 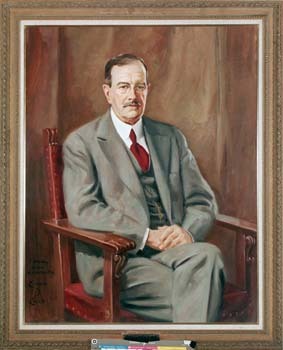 Charles S. Howe was inaugurated as Case School of Applied Science's second president. 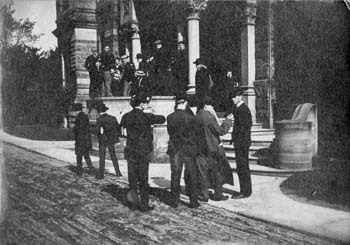 Adelbert College Step Ceremony was once again held on the steps of Adelbert Main (now Adelbert Hall). The junior class made speeches and passed the mace of authority to the sophomore class. Wrestling matches between freshmen and sophomores followed in the gym. Besides the varsity team, Case School of Applied Science had class, fraternity, and faculty baseball teams which played each other and local high schools. 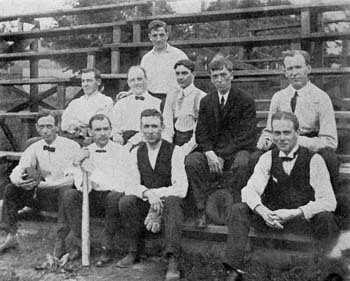 Pictured is the faculty baseball team. Since many Case and Western Reserve University students were commuters, transportation was a daily issue. At a time when automobiles were uncommon, many students rode streetcars to and from the campus every day. 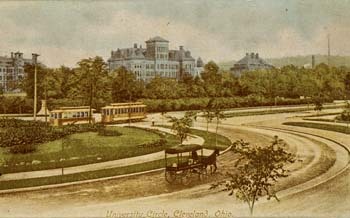 University Circle received its name from the streetcar turn-around on Euclid Avenue. 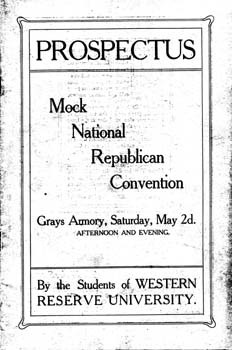 Western Reserve University students held their first mock political convention at Gray's Armory. The convention nominated Senator Robert LaFollette of Wisconsin for U.S. president. 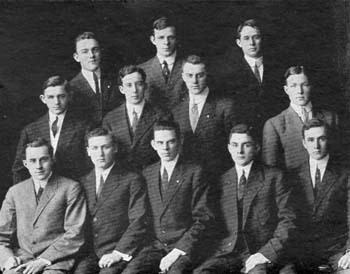 Beta Eta of Sigma Chi became the first joint Case School of Applied Science - Western Reserve University fraternity chapter.